After this summer's smash, Channel 4 is bringing back House Party for the ultimate 2012 send off on New Year's Eve. Following the success of the unprecedented television, online and music event on the August Bank Holiday weekend, viewers can once again throw parties with live DJ sets by six top international acts, including Annie Mac, Frankie Knuckles, Norman Jay, Hercules & Love Affair, Charlie Sloth and Toddla T Sound, on the biggest party night of the year. 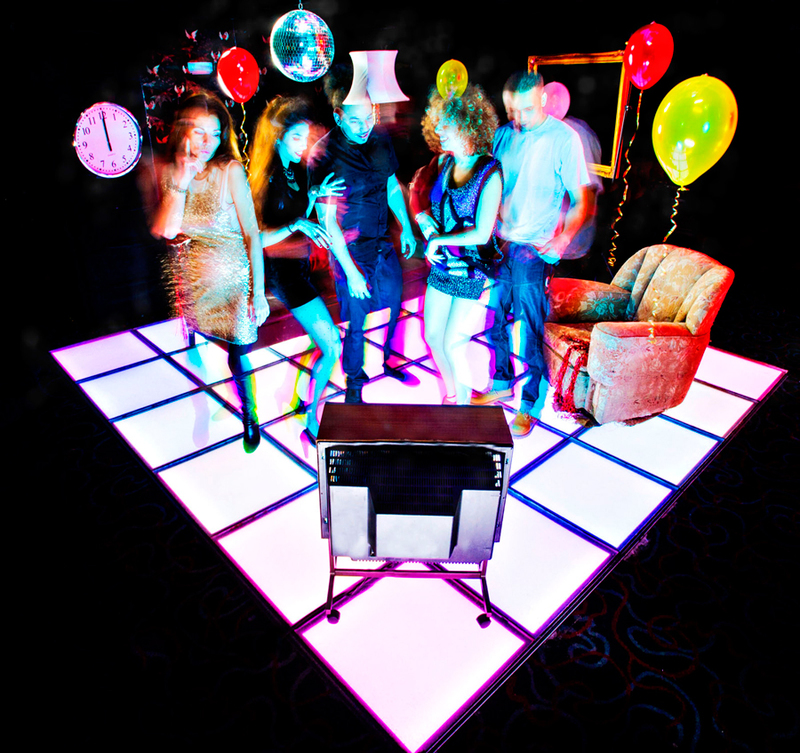 House Party, a broadcasting first, went out live on Channel 4 24 August 2012 from midnight through till 6am. The all-night DJ takeover received widespread acclaim, has been nominated in the Broadcast Awards for Best Music Programme, and offered a totally new clubbing and party experience to party-goers, music fans and unsuspecting sofa viewers. This time, bringing house parties together from around the UK, House Party: NYE (w/t) will also be looking to blast out the tunes and visuals to bars, galleries, and anywhere with a screen, to bring in the New Year. Turning the television or laptop into the ultimate DJ booth, House Party: NYE (w/t) means everyone has the opportunity to celebrate the New Year with their personal line-up of world-class DJs and VJs - who are playing completely live direct to the TV audience, rather than a studio audience, and transforming living rooms, bedrooms and bars across the nation into dance floors. As well as for party-goers, New Year's Eve is the biggest night of the year for DJs, and the House Party: NYE (w/t) line-up will be bringing their best to the turntables - using every trick, twist and floor-filling tune to surprise and energise house parties around the country. Radio 1's Queen of Dance, Annie Mac, was a key part of the House Party line-up in August, and played a versatile and accomplished set, topped with a guest appearance from her friend, Mercury-prize-nominated singer songwriter Jessie Ware. Annie will be the opening act for House Party: NYE (w/t) exploding into 2013 as the countdown comes to a climax. The countdown will be live and interactive, giving audiences a real chance to share the final moments of 2012. The face of UK rap and Radio 1Xtra presenter Charlie Sloth is Master of Ceremonies and will be playing with a special guest, along with ‘The Godfather of House', Frankie Knuckles, Norman Jay MBE, New York outfit Hercules & Love Affair, and one of the UK's most respected young DJs and Radio 1 host, and his new group Toddla T Sound, who will all deliver sets across the night, ranging from the undisputed killer tunes of the year to house, funk, soul, hip hop, mash-ups and party anthems. Throughout the night, viewers can expect guest vocalists and surprise dancers around the booth. The running order will be confirmed closer to broadcast. In addition to the top DJ talent on offer, a selection of the nation's most exciting cutting edge VJs, computer animators and graphic artists will be playing visual sets every bit as live and unrehearsed as the music. The DJ booth will also include the third element of the clubbing experience introduced back in the summer - Social Networkers. Using social media hooked up to the booth online and channel4.com/houseparty, the Social Networkers will be a live and super-reactive link between the audience and the booth for shout outs, requests, and pictures and videos from house parties across the country.